Thinking about taking your electric car on a road trip? Be prepared, and you’ll probably be pleasantly surprised by how smoothly it can go. If you plan to take a trip outside of your normal comfort zone, it’s now possible in many regions of the country. It just takes a little advance route planning, and having some realistic range expectations; and you definitely need to bring your smartphone along. 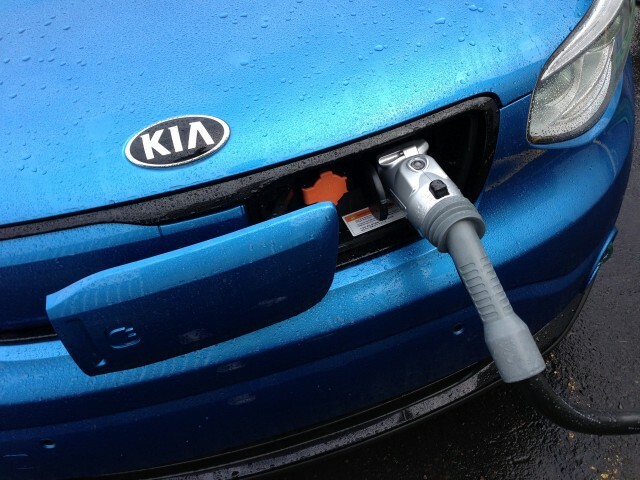 In a recent 195-mile daytrip from Portland, Oregon to Redmond, Washington, in the 2015 Kia Soul EV, we were able to refresh ourselves on the state of electric-car road-tripping today. 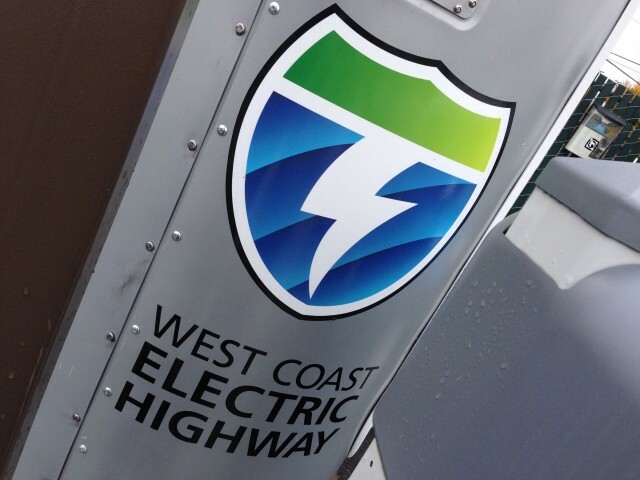 The short answer is that if you follow established electric vehicle highways, in a very EV-friendly region of the nation, as we did—in our case the West Coast Electric Highway—it’s a sea change compared to just a couple of years ago. The difference? You simply have many more options now on where to plug in, and provided you have a model with the ChaDeMO standard (or Tesla’s Supercharger network) you’re in good shape. While we expect the density for the SAE CCS fast-charging standard to improve, it’s still several years behind other fast chargers in many regions. 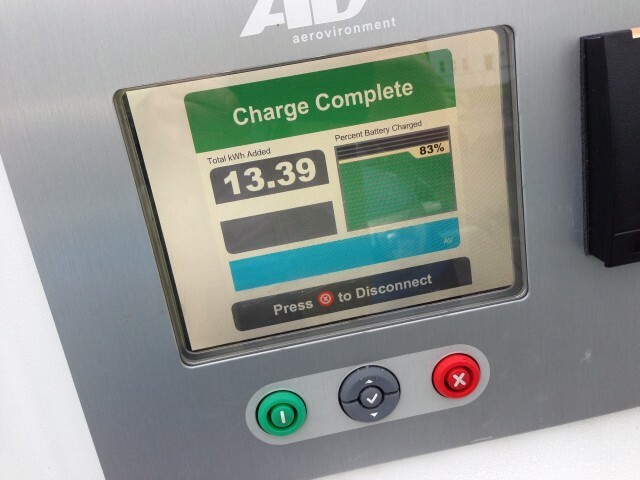 But if you have a ChaDeMO-compatible model like the Nissan Leaf or the Soul EV, DC fast-charging stations have been installed every 25 to 50 miles along major roadways (I-5, in our case), meaning that if you calculate carefully you can minimize the number of 20-30-minute breaks, as you wait for your vehicle to charge up to 80 percent or more of its capacity. One of the first, most valuable lessons in planning is that you should throw out any expectation in getting the same sort of driving range that you’ve been seeing around town. Electric cars are the most efficient at low speeds, with gentle acceleration; subject them to the standard Interstate cruising speeds where gasoline engines aren’t far off their efficiency sweet spot and the EV just isn’t going to return anything close to its peak range. For instance, the Soul EV’s 100-mile (or more) range of comfortable lower-speed, around-town driving, from this vehicle’s 27-kWh battery pack, dipped to a highway range of less than 80 miles at 65-70 mph—and that’s without using the main climate control and instead opting for the heated (or cooled) front seats (and the wonderful heated steering wheel). Our temperatures in the 50s (F), by the way were mild enough to pull that off comfortably. Based on what we saw, we might have been able to eke 90+ miles out of a charge by lowering our speeds to 55 mph, but we opted for the safety of keeping close to the flow of traffic. 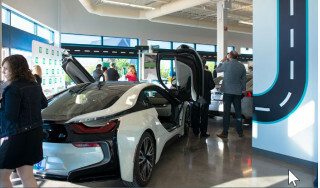 But to be realistic about that drop in range, consider that after a fast charge you typically only get restored to an 80-percent charge—meaning that you’ll have 60 or 65 miles, tops, after the first fast charge and each subsequent one. Think 60 percent of what you get around town. I’m not trying to be a buzzkill here; that’s a good, realistic place to start planning routes and times. 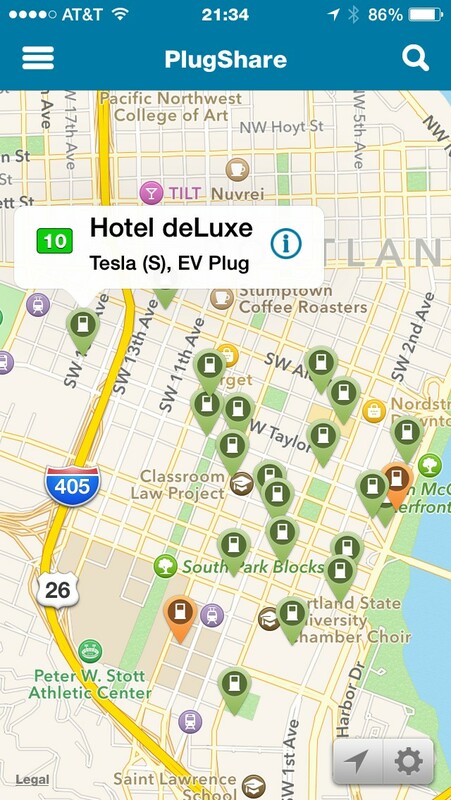 Considering that, you should map out your route with Web site tools from the major charger providers, like Blink and ChargePoint. And definitely consult PlugShare, which gives you tools to filter by type of charger. Make sure there’s enough wiggle room with your (lower) highway range. At the same time, you can’t entirely count on chargers being ready the moment you arrive. 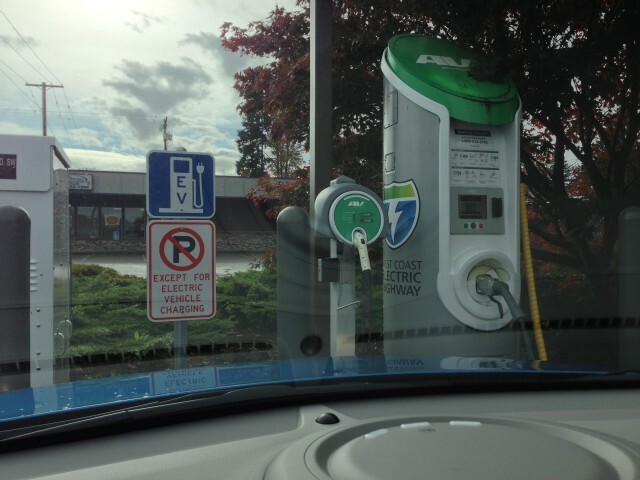 In some regions, like the East Coast and Midwest, we’ve found that non-workplace charging stations remain lightly used, overall, while those on the West Coast—especially in California, and along the Electric Highway, where we recently traveled in Oregon and Washington—can be quite heavily used. 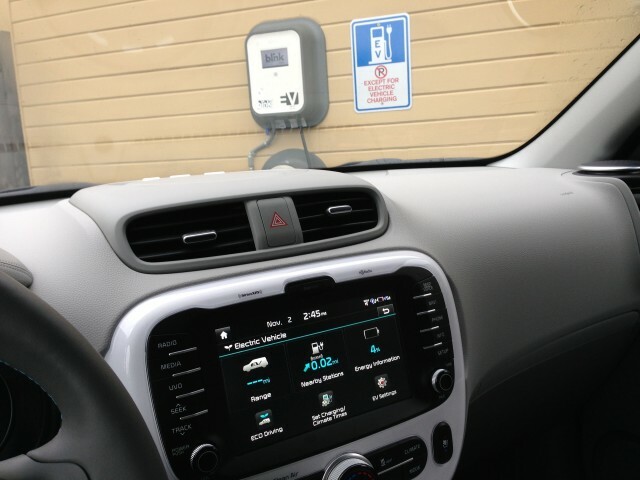 PlugShare includes valuable information on where to find chargers (sometimes at an unlikely corner of a parking lot), when they’re accessible, and when they were last used. And for some network chargers, you’ll see a live, to-the-minute update on whether they’re available or in use. Speaking of that, some ChaDeMO chargers do allow you to keep going above 80 percent; but it’s slower going above that, so etiquette suggests you yield to anyone waiting when your charger hits that percentage. 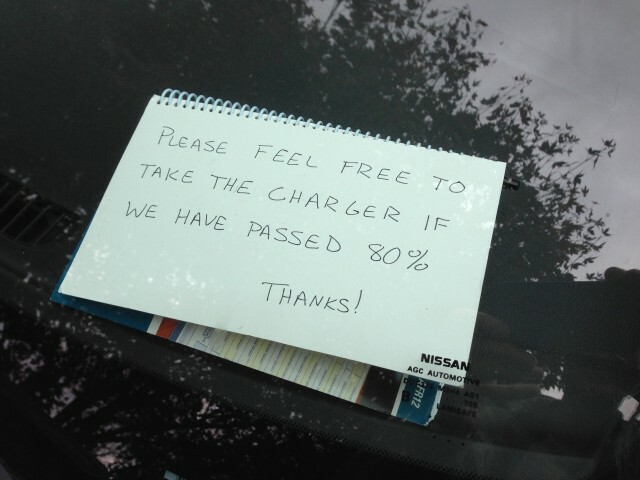 Some motorists, as we’ve seen, will actually leave notes permitting strangers to disconnect. And with charging networks now for the most part charging by the kWh rather than by the charge, it’s likely we’ll see more people ‘topping off’ rather than holding out for 100 percent. 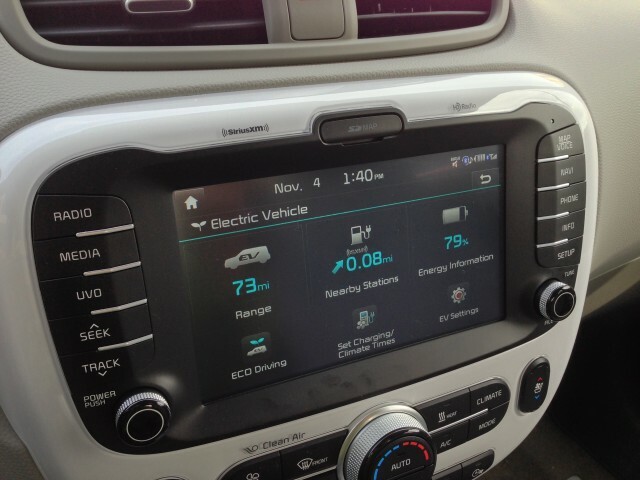 The Soul EV, as with some other EVs on the market, comes with its own in-dash charger-locating app. Hit the ‘EV’ button and you’ll get a quick summary of remaining capacity and range, special functions like charging times and climate-control preconditioning, and most importantly perhaps, an arrow showing you the distance and direction of the nearest publicly accessible charger. With just a couple of clicks you can send it to the Soul EV’s navigation system and be routed there, turn-by-turn. It’s a slick interface. The one thing the Soul EV sorely needs in its interface is a clear distinction between Level 2 and Level 3 chargers. And it could really use some real time (or as close to it as is possible) data, as PlugShare features, telling EV drivers whether a charger is currently being used or not. While electric-car road trips might have been inconceivable just a few years ago, they’re now quite doable—with some very careful route planning. The latter is a conclusion we couldn’t help but reach, at the end of our 195-mile journey. What normally would have taken a little more than three hours in a gasoline vehicle took a little more than four and a half hours, overall, in the Soul EV. We suffered no range anxiety, and the Soul EV’s steady, predictable range meter never let us down. And every charging station we reached had the same availability as represented on PlugShare (one Blink station showed one of its two fast-charging ports in use, and we arrived to confirm a Leaf occupying that spot). These are technologies that no longer feel ‘beta,’ or limited to early adopters, EV enthusiasts, and environmentalists. Now, if only the driving range were a bit longer. And, we suspect, it’s really not that far away.